Hold your contemporary events amidst the discreet charm of a Belle Epoque gem. Right at the heart of Monte Carlo, overlooking the port and just a short distance from the Casino, this hotel with its refined decoration tinged with romanticism was entirely redesigned and refurbished in 2011 to host your business events and stays. Here, Chef Benoit Witz presents the most exquisite banquets. You can hold one in the Salle Belle Epoque – a listed monument – or on its terrace facing the Prince’s Palace. And for your stay to be a complete success, you can relax at the Thermes Marins Monte-Carlo (directly accessible from the hotel), and enjoy the Beach Club and its heated saltwater swimming pool in season free of charge. Location: a few steps away from the Place du Casino. 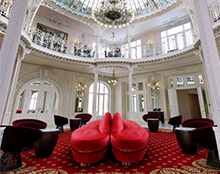 Main rooms for events and galas: Salle Belle Epoque (with Salle Régence), up to 300 persons dining, 430 sqm, and Salle Eiffel, meetings of up to 310 persons, 310 sqm. Le Vistamar (1 Michelin star): refined seafood cuisine with a panoramic view of the port. 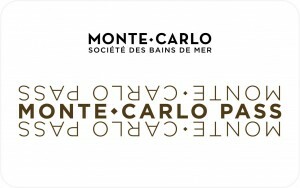 278 rooms, including 76 suites and junior suites and 12 Monte-Carlo diamond suites.